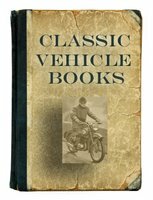 This is a selection of general classic American bike books, covering the history and development of the American motorcycle industry, American makes and models. 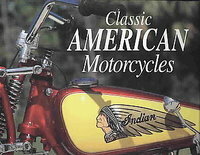 Classic American Motorcycles by John Carroll (1997) covers classic American motorcycles, from Indian to Harley and others. The Sturgis Experience: A Celebration Of The Black Hills Motorcycle Rally by Jim Casey (2004) is a thoughful look at biker culture and the search for the spirit of Sturgis. With more than 60 full-colour photographs and a comprehensive history and analysis of the world's best-known motorcycle rally, here is a book destined to join the classics in American road lore. 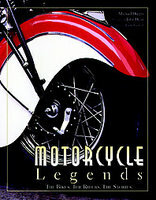 Motorcycle Legends: The Bikes, The Riders, The Stories by Michael Dregni (2004) is a unique pop culture history of motorcycling in North America, featuring great large-format photography of stunning vintage and current motorcycles and rare archival photographs, historical images, brochures, artwork, advertisements, and collectibles. These stunning, large-format photographs of original and restored cycles are from the Reynolds-Alberta Museum in Alberta, Canada, which were assembled for a 100-year retrospective history of motorcycling. Chapters detail the development of motorcycles in the United States, looking at themes such as road bikes, racing, motorcycling culture, prominent figures such as the Hell's Angels, Evel Knievel, and entertainment such as The Wild One and Easy Rider. Motorcycles And The Art Of War by Albert Galen (2001). 30 years after Vietnam, vet Al Galen travels the US by motorcycle to view the effects of war on the United States. And what surprises he finds. 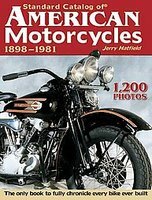 Standard Catalog Of American Motorcycles 1898-1981 by Jerry Hatfield (2006). In this new reference, novice riders, vintage collectors and hobbyists get coverage of every American-made model, pre-war to present day, to roll off the line and onto the pavement. From vintage models like the Flying Merkel and Excelsior motorcycles to the tried and true Indian motorcycles and evolutionary Harley-Davidsons, this guide captures the technical details and history of American motorcycles like nothing else. Collectors, historians and motorcycle enthusiasts will find technical specifications including performance figures, horsepower, weight and more for help in identification. A collection of 1,200 crisp detailed photos also assists with identification, and offers inspiration for these enduring vehicles. Every model from pre-war to today is included to give collectors the most comprehensive coverage. 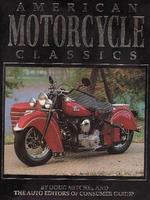 Illustrated Directory Of Classic American Motorcycles by Tod Rafferty (2001). The entire range of Harley-Davidsons from 1915 to present. Classic Indian motorcycles, as well as new models manufactured by the resurrected marque. Bygone names like Cushman, Peerless, Monarch and Excelsior. New names like Victory. This illustrated guide examines 200 of the century's most magnificent American motorcycles. Each is described with a brief history and complete specs. 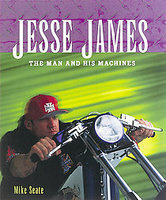 Jesse James: The Man And His Machines by Mike Seate (2003) is the inside story about about motorcycle designer, Jesse James and his rise to fame as a motorcycle designer. Classic American Racing Motorcycles by Mick Walker (1992) provides an account of American motorcycle racing from its beginnings until the 1970s. The names of Harley-Davidson and Indian are renowned in American motorcycle racing. But, as this book demonstrates, the North American racing scene was rich in both marques and characters. This book places equal emphasis upon the rider as well as the constructors, looking at the racing champions who had to ride for overseas teams when American manufacturers abandoned international competition. American Motorcycling: The Greatest Sport in the World September, 1949 Volume III, No. 9. A very scarce vintage piece of American motorcycle memorabilia.